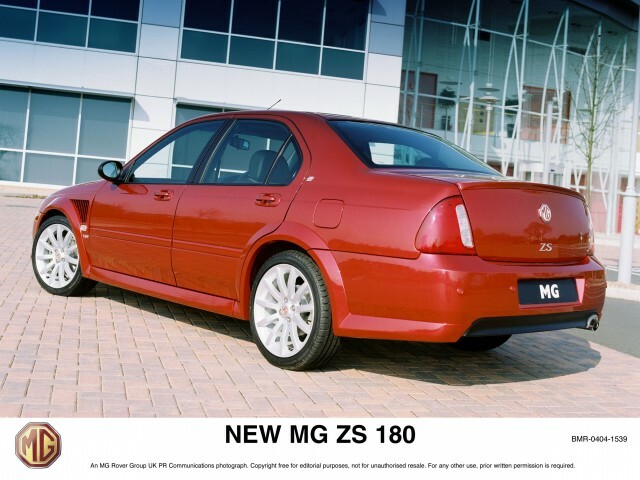 MG ZS 180, a car from the Midlands that you'd actually want. Not a Rover. No. Stop that. 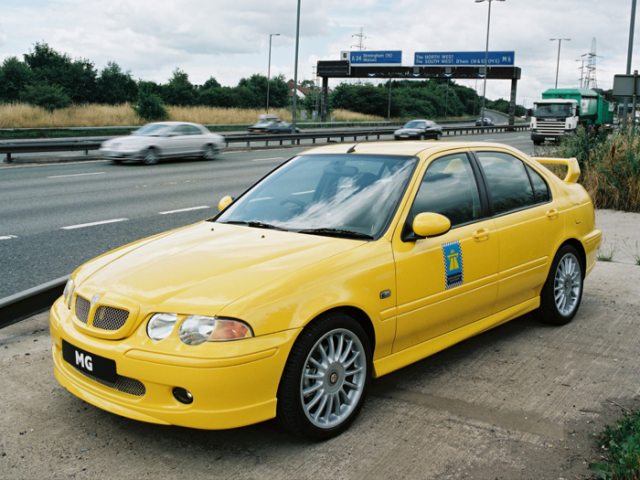 IT’S NOT A BLOODY ROVER 45! 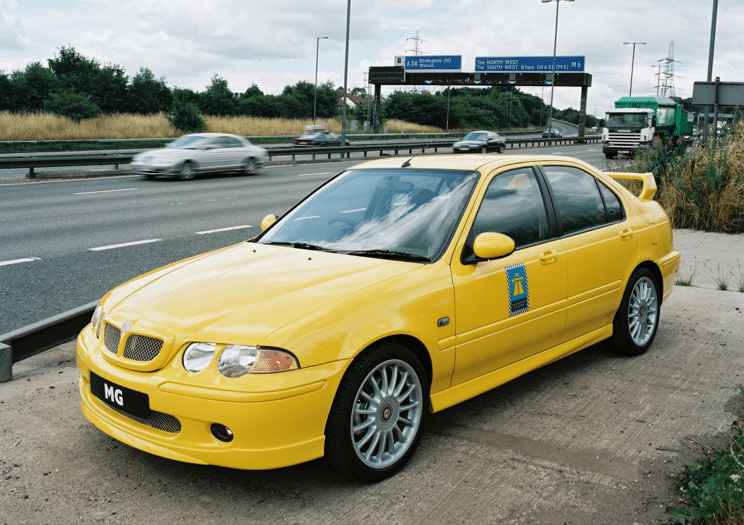 This is a Rover 45. NOT an MG ZS. It’s what’s driven by old people and those with a blank space in their heads where any form of motoring flair or imagination should reside. They came with fake wood and the odour of your Nan’s house as standard. Optional extras came in the form of a walking stick, a blanket and a tape player pre-loaded with a slightly stretched, off-sounding copy of ‘NOW THAT’S WHAT I CALL… HELLO? MAVIS?’. It was not a great car. 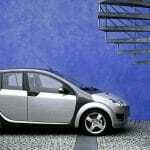 We’re not needlessly bashing it though, because at its core it wasn’t a bad car. It was just, in the most generic sense of the word, a car. It had an engine and seats and a boot. The fact the elderly, the unimaginative and the dull had affection for it came as a direct result of the Rover badge. Here’s the thing though. While the 45 may have been as exciting as the socks you get from that odd relative you only see at Christmas who then goes on to be sick on the dog after saying something racist about the microwave, it was actually, as it turns out, a damn good base for something more, well, fun. This wasn’t Rover’s doing, mind. It was actually a direct result of the car using a Honda platform from around 75 years ago. Remember when the Honda Concerto and the Rover 214 looked the same? Yeah, that’s because the Rover was a Honda. That meant the ‘Rover’ inherited double-wishbone front suspension and fancy pants fully independent multi-link rear suspension. 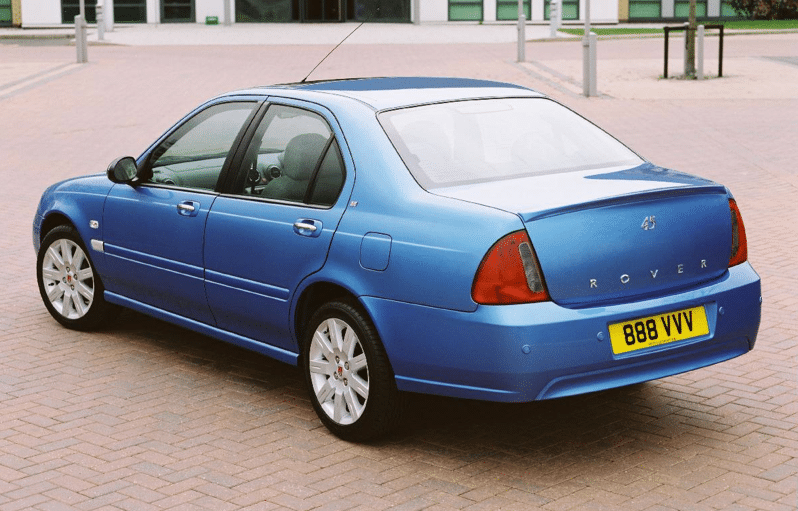 Tie that into what was actually, despite what Rover 45 drivers might have thought, a pretty decent chassis and you’re left with a solid base for something a bit more exciting. The thing is, you can’t go slapping a Rover badge on anything that claims to be exiting. That would have been a surefire way to shock the Rover demographic off its mortal coil. Enter stage left, the shouty arm of the business, MG.
Yellow. Like custard. But faster. Like turbocharged custard. BEEFCAKE! It’s got vents. And we like the wheels. The one on the left is still a bit too 45 for us. The one on the right is a bit more like it, though the vents and so on were a cost option – one that most buyers opted for. 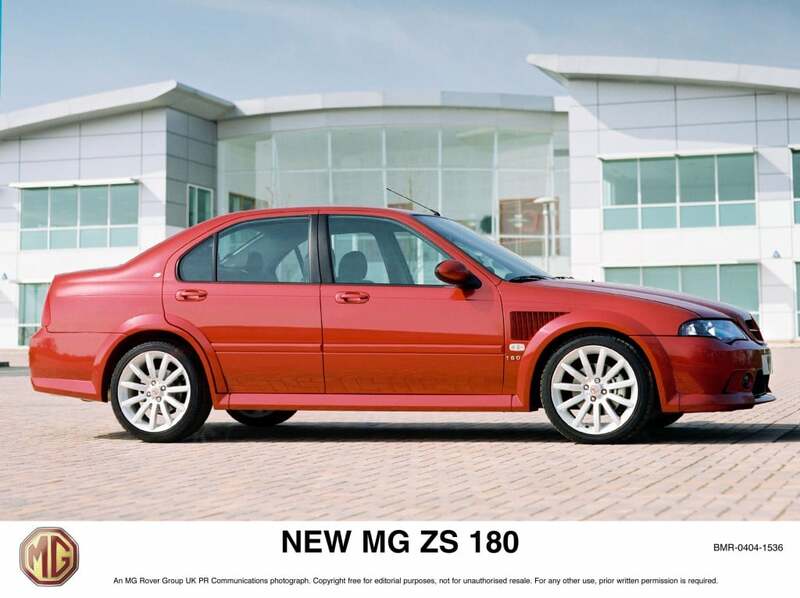 By 2004, as per the version we’re looking at here, the MG ZS had found a following. 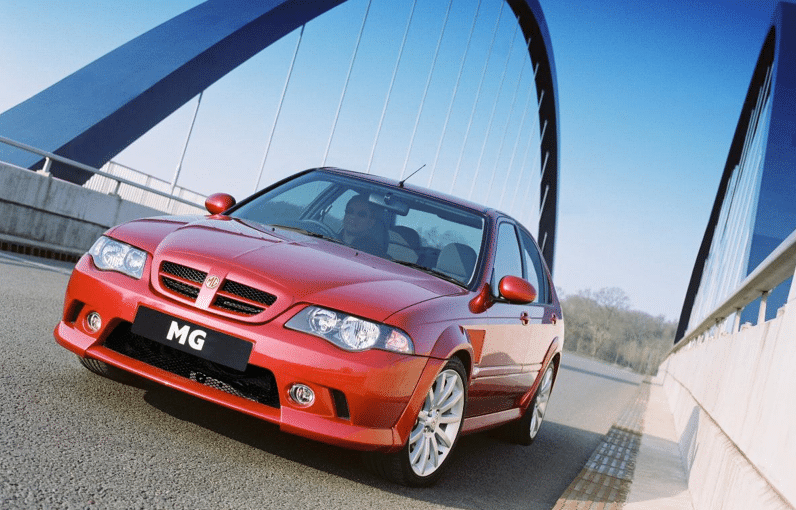 Rover as a group was in big trouble and would soon be no more, but that didn’t stop people from buying the MG ZS (or ZR/ZT for that matter). It wasn’t misplaced patriotism though, no, people were buying them because they were a damn good driver’s car. That suspension and tight chassis made it rewarding to drive. It was taught and agile, ready to be thrown around and at the same time, ready to reward the the driver throughout the whole experience. 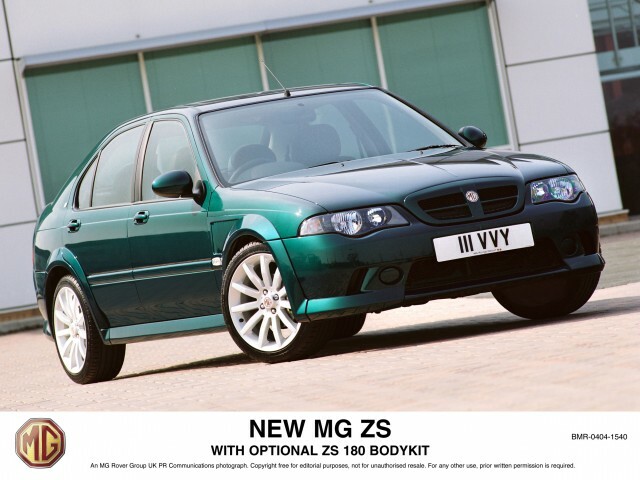 The vented wings, massive wheels and big spoiler (if you opted for them) made the MG ZS look big, but in reality, it wasn’t. 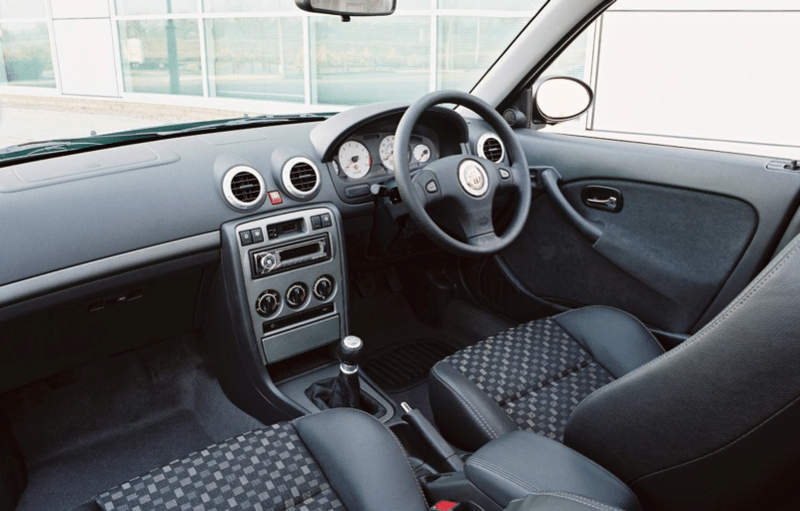 It was small and light, it was chuckable and most importantly of all for any car with sporting aspirations, it was fun. It was honest, pure, and because we all knew it shared panels with the 45, it also had a degree of mad, Monty Pythonesque silliness to it. It was the 45’s bonkers brother, which we, through being British, liked. And bizarrely we respected that, too. Quite a lot as it happens. Joe Public wasn’t the only one to like it. 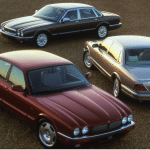 The motoring press pushed past the Rover Group stigma and praised the car on its own merits, and rightly so. Then the motorsport world got it and, well, it was just as popular there. 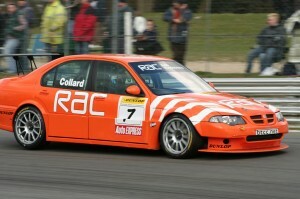 Entering into the BTCC under various sponsorship (the first ZS was run as a works car), the ZS had its successes. The happiest man in Touring Cars, Rob Collard, was one of the ZS’s more notable pilots and he wedged it into a fair few battles and brought it out on top, too. It was a good car. A successful car. A car people could get behind. 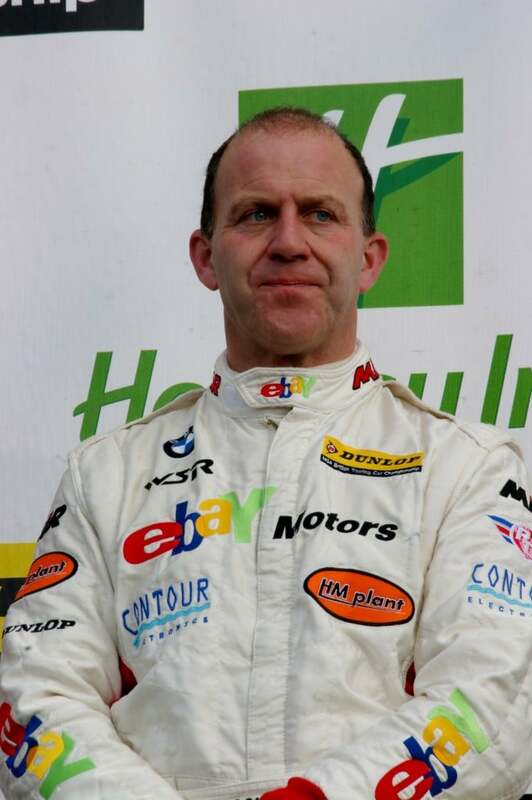 Look, Rob IS the happiest man in motorsport. This is the only copyright-free picture we could find. He must have been caught on a bad day. Sorry Rob. So why are we pushing the post-2004 car with a V6 (that’s what the 180 bit means, folks)? The four cylinder cars were okay and still boasted the grippy chassis but, sigh, they also suffered from the head gasket problems that all Rovers did of the time and, frankly, their lack of power didn’t do the ZS’s underpinnings any justice. The 2.5, quad cam, 175bhp V6 however, did. It was different, too. This was a car built in a time when other car makers were getting tight in the trouser area for forced induction on ALL THE THINGS. Rover and MG, because they operated out of a shed stuck firmly in 1977, weren’t. 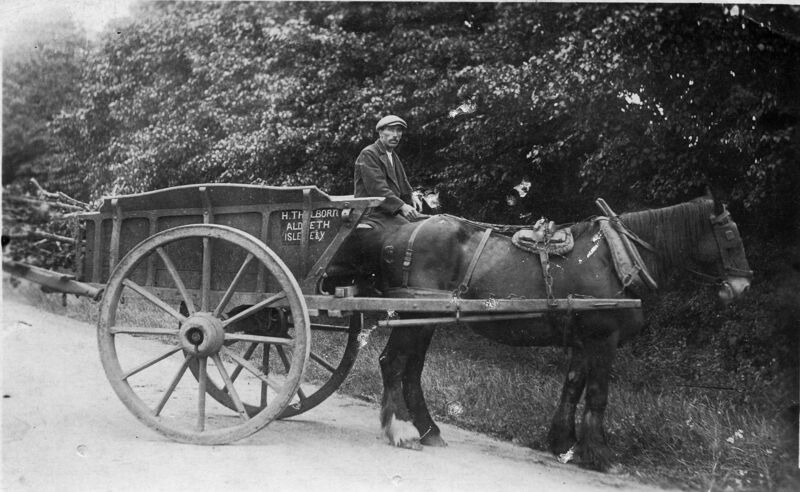 SPEED and POWER were the direct result of a BIGGER ENGINE. Yes. Size in the Rover/MG shed really did matter. As such, they knocked out a car that had pure, uninhibited grunt. It made the noise of a sports car because its cylinders were firing in different directions. 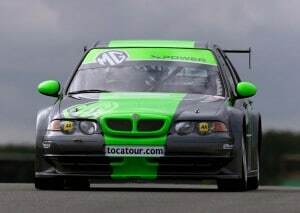 It had torque and because Rover/MG had yet to work out what a turbo was, the power the ZS had was immediate. Like a proper British bloody sports car. So, should you buy one? Yes, yes you should. 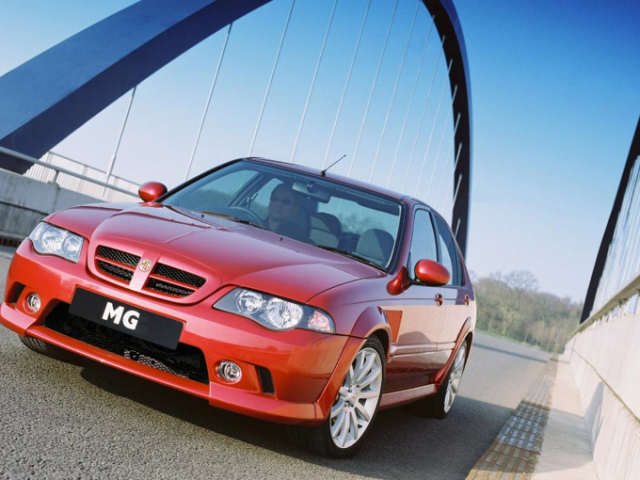 Not only is the MG ZS 180 a hoot to drive, it’s also a handsome car. It’s got purpose and presence, something lacking in the majority of what’s out on the roads today. We’ve told you it’s good to drive, so there’s that, too. It’s practical with its big boot, should you want to use that as justification. It will – we promise you – have been looked after, too. These cars were expensive and the ones filtering through to the market these days are normally only ever one or two names on a V5 away from the person who walked into an MG dealership eleven years ago. Plus, as a final means of encouragement, petrol is under £1 a litre in some places right now. IT’S NEVER BEEN A BETTER TIME TO BUY A V6! 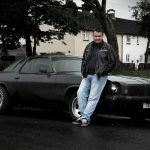 It’s also one of the last greats to roll out of Longbridge. It’s a car that carries with it a lot of responsibility, an unspoken contract to go out onto our roads and remind people that while the company had its problems, it wasn’t utterly useless. Well, apart from the CityRover. We’ll ignore that one though, yeah?